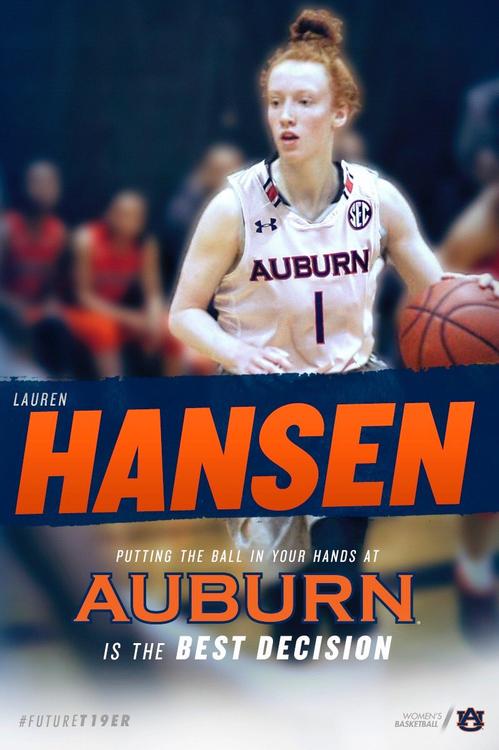 espnW #-60 Lauren Hansen (5-8 PG East Setauket, NY/Ward Melville 2019) is an Auburn Tiger. War Eagle! So how does the recruiting just flip a switch in the last year or so to start bringing in these high profile players in women's basketball. Seems like a really good get. 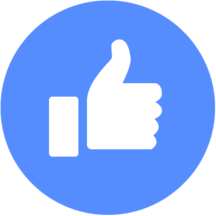 Do we think maybe due to success on men's side? Did anyone else read the thread title before coming in and think, "Huh? We have a guy named Lauren on our team now? lol"
Bruce's connections may have helped in the last class. 2 5* gals from Georgia. Do we think maybe due to success on men's side? Bruce's connections may have helped in the last class. ﻿2 5* gals from Georgia. Bruce needs to connect with some post players for the ladies. All the recent recruits have been guards. All the recent recruits have been guards. Incorrect. 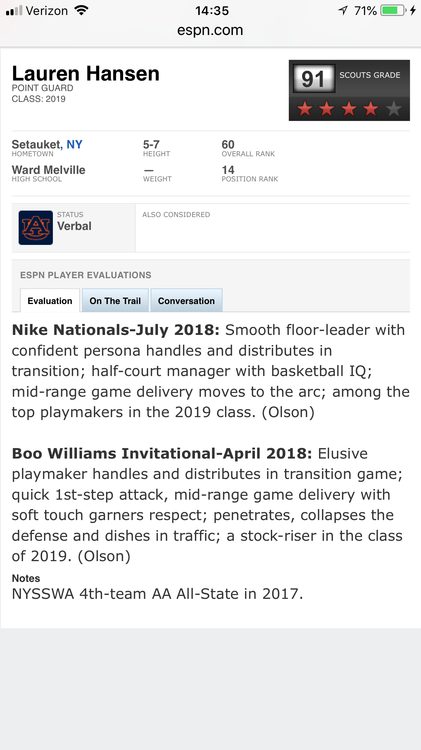 2 of the 4 girls in the 2018 class were forwards. 6-1 and 6-4 though. I'm talking those 6-6+ bigs. Yeah, 6-4 is a good get for sure. Just looked at MSU’s roster from last year and they weren’t as big as I thought.